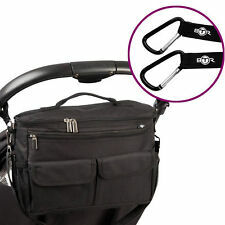 Easy to attach, simply use the velcro tabs to connect bag to your pushchairs handle. Unwanted Goods. Approx size: 36cm x 13cm x 12cm. At Jazooli we understand that when you place an order you want your goods to arrive as soon as possible and with the minimum of fuss. Space on your pushchair, so you have everything that you need to hand. 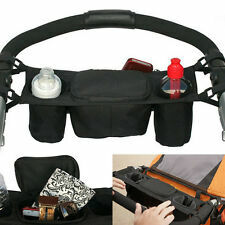 Baby Pram Cup Bottle Holder Organiser Bag. 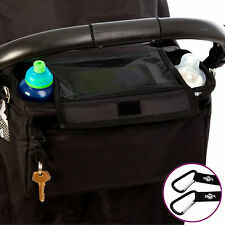 Universal Pram Stroller Buggy Organiser: accessory designed to fit on all single width buggies & prams. Universal Pram Stroller Buggy Organiser: accessory designed to fit on all single width buggies & prams. Provides extra space on your pushchair, so you have everything that you need to hand. 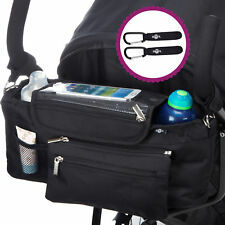 1X Pram Stroller Buggy Organizer Storage Bag. We will be glad to reply and help you to solve any problem. We will answer or help you to solve the problems as soon as we can. There is a centre fastening button along the top of the bag for security. It has a 2kg maximum weight limit which will avoid the pushchair from being top heavy. 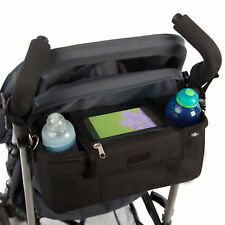 It also has a center console with two pockets that is great to put the extras that you need handy on your stroller like you cellphone, tissues, keys, toys etc. Note: The length of the Stroller Console is 14.2". Universal Pram Stroller Buggy Organiser: accessory designed to fit on all single width buggies & prams. Provides extra space on your pushchair, so you have everything that you need to hand. 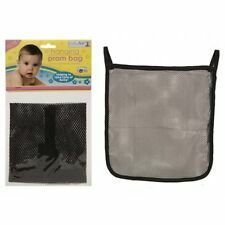 Pram Stroller Buggy Organizer Storage Bag. Pram Pushchair Stroller Buggy Cup Bottle. 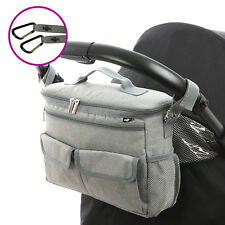 Universal Pram Stroller Buggy Organiser: accessory designed to fit on all single width buggies & prams. Provides extra space on your pushchair, so you have everything that you need to hand. Universal Pram Stroller Buggy Organiser: accessory designed to fit on all single width buggies & prams. Provides extra space on your pushchair, so you have everything that you need to hand. 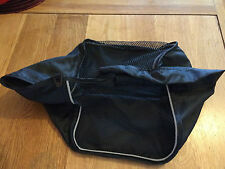 2x Pram Stroller Buggy Organizer Storage Bag. Use on 1 or 2 Handled Prams. 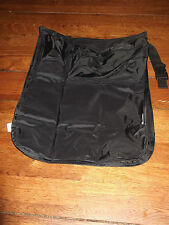 • 3 LARGE ZIPPED EXTERNAL POCKETS- Easy access to the stuff you need frequently. No need to lose anything in the corners of your bag again! • DETACHABLE SHOULDER STRAP – turns it into an instant BABY-GO-BAG. Use on 1 or 2 handled prams. 👀👶🍼 Wipe Clean Lining Buggy Organiser - Great for Snacks! 🍌🍼🥄🍎from BTR - YouTube. Simply wipe & it is as good as new! Our unique way of Keeping your Contents securely covered; Ideal for Keeping Small Hands & Prying Eyes Out! Use on 1 or 2 handled prams. Simply wipe & it is as good as new!